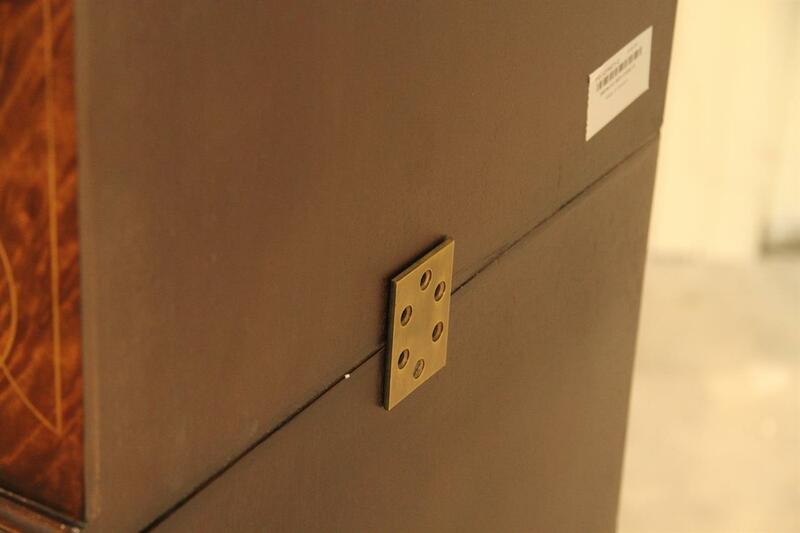 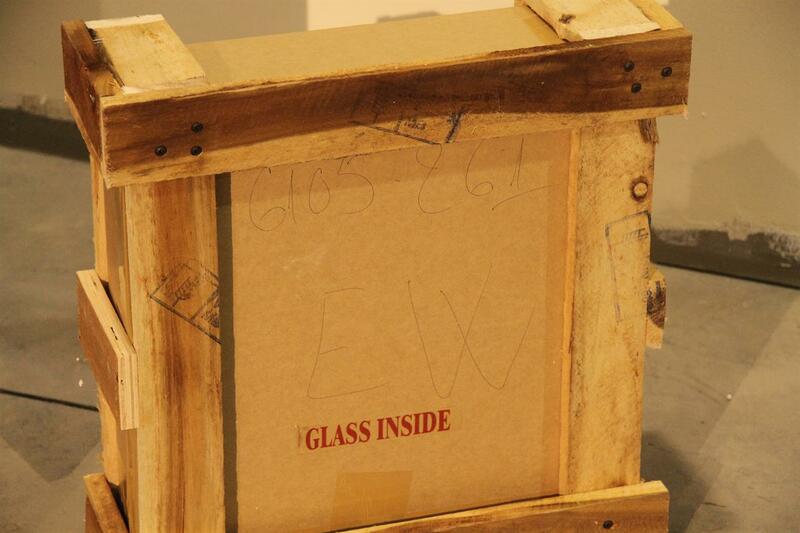 It is very important that these pre-drilled clamps are attached before you open and close the doors. 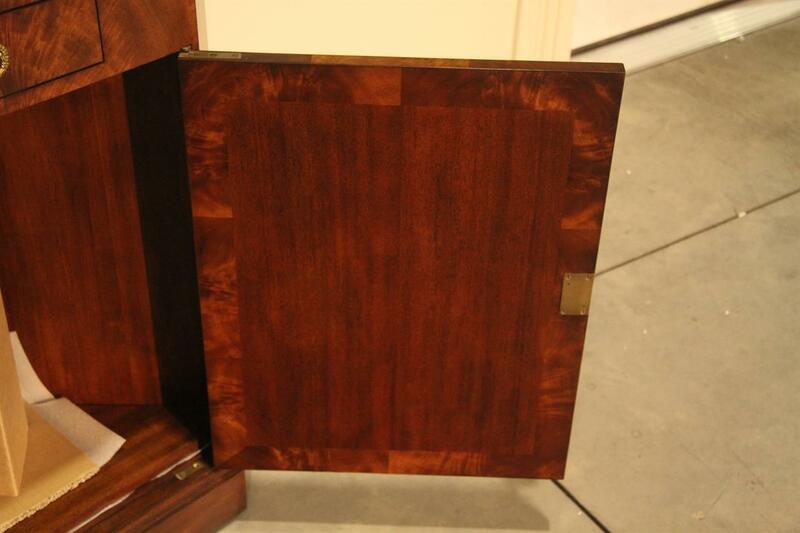 Quality drawer on wood slides so the drawer opens and closes easily. 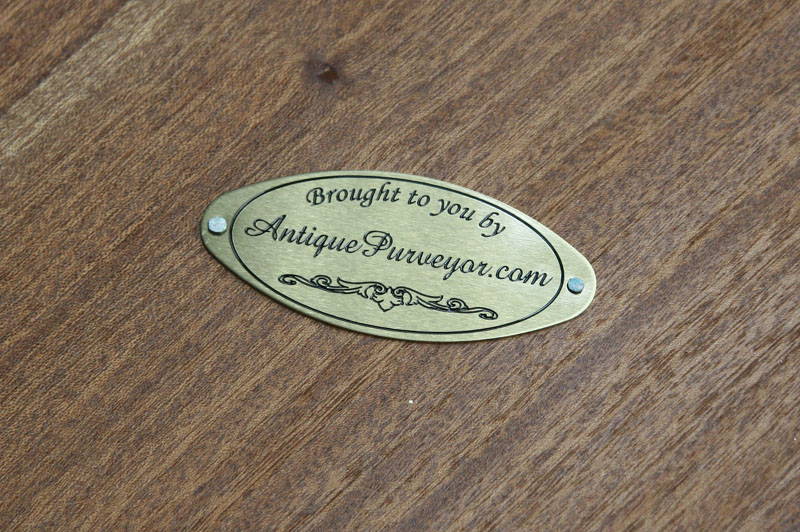 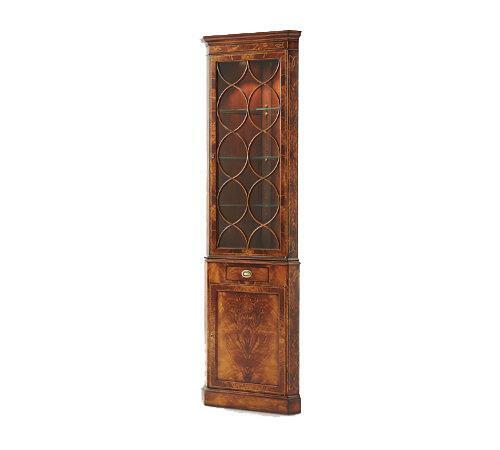 Description: A high end antique style corner china cabinet for a smaller space. 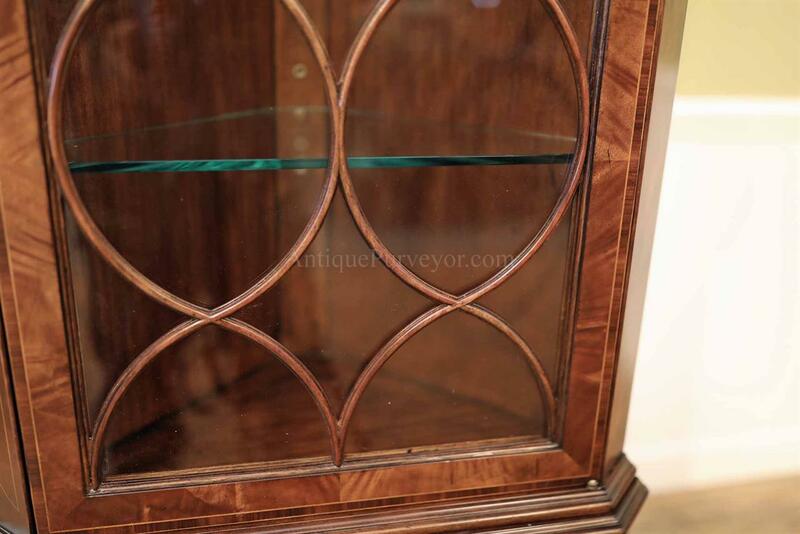 Hard to find small and narrow china cabinet will fit against a small wall and it only needs 17.25 inches of clearance. 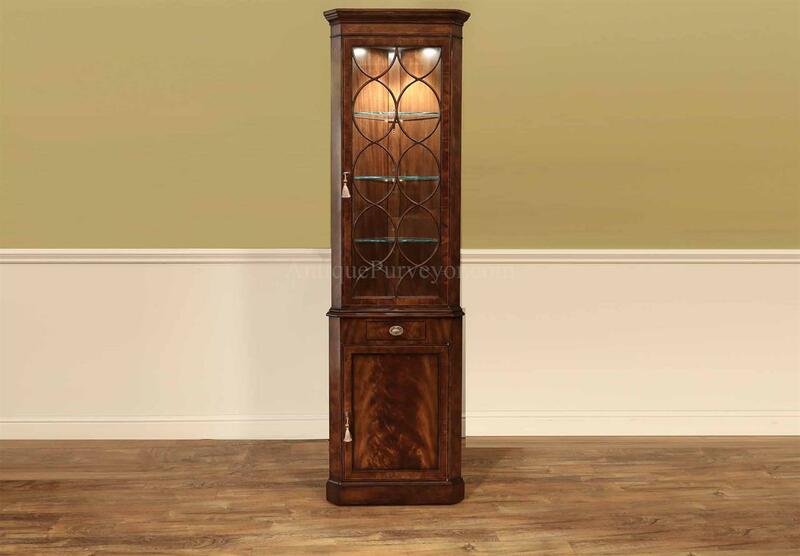 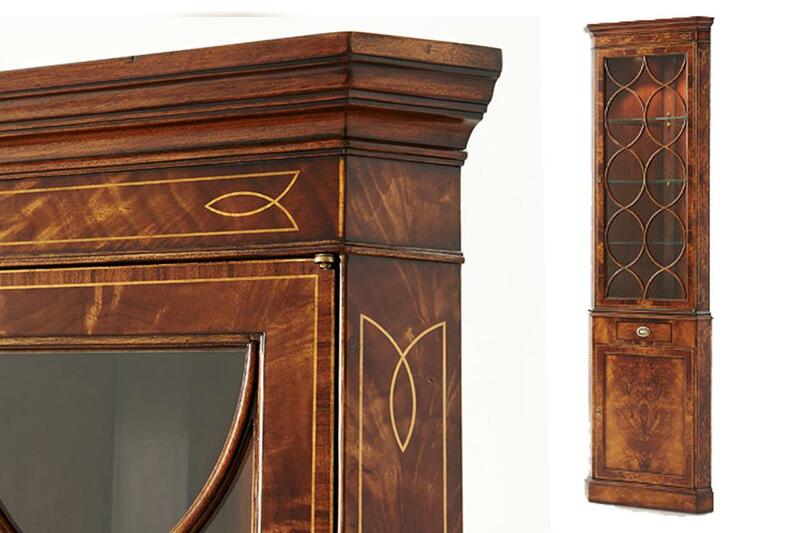 Finely inlaid Hepplewhite style traditional flame mahogany small corner china cabinet with banded door panels, rosewood inlaid glass doors, three adjustable glass shelves on top with one adjustable heavy wood shelf on the bottom. 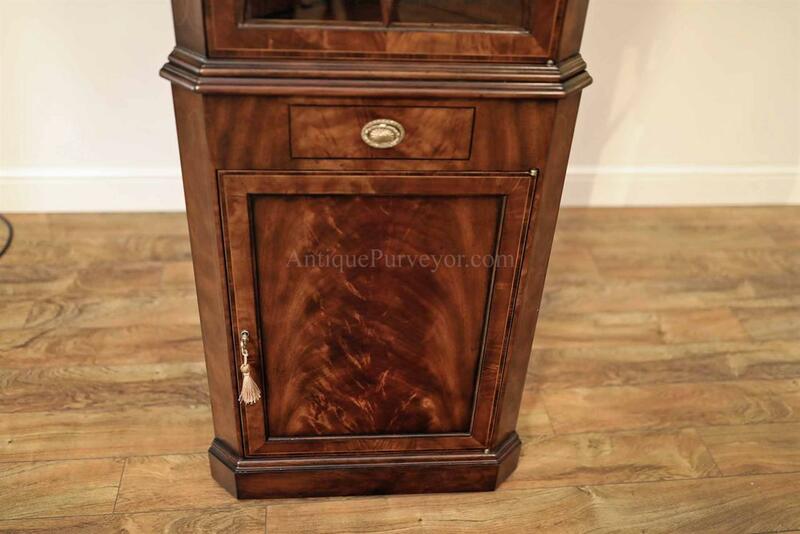 One small drawer in between the top display and the bottom storage area with tongue and groove construction and smooth drawer slides decorated with a crisp forged brass drawer pull. 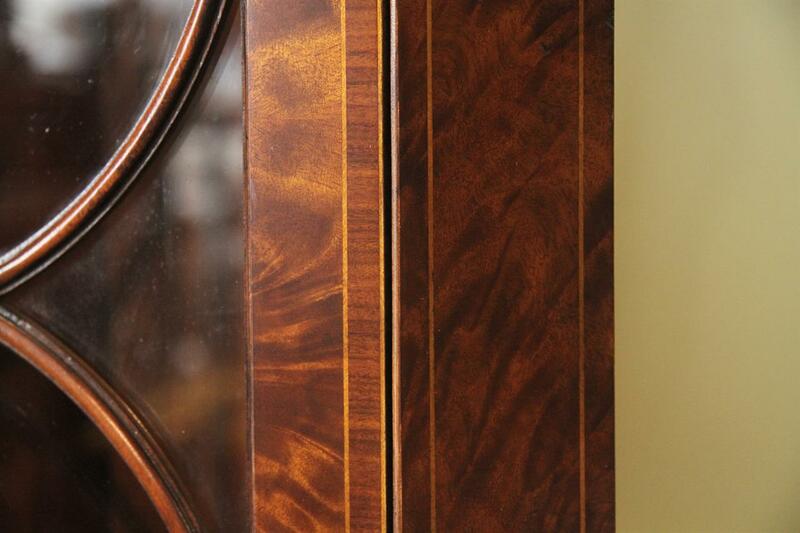 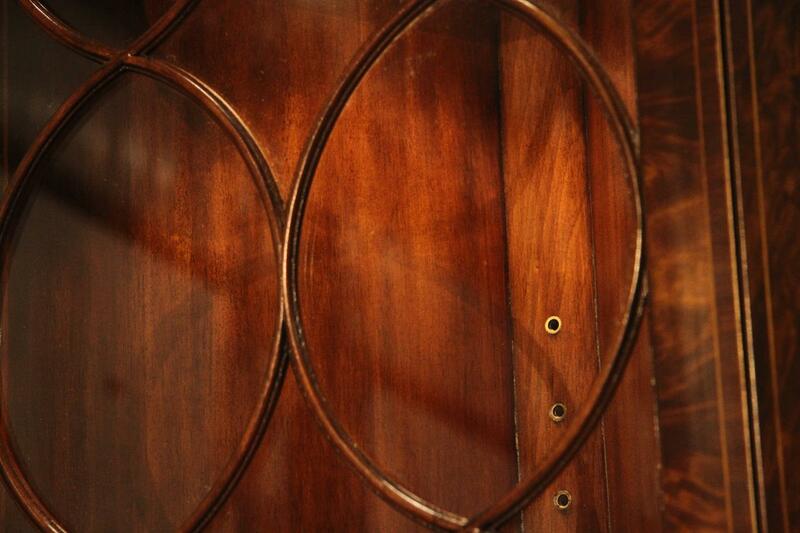 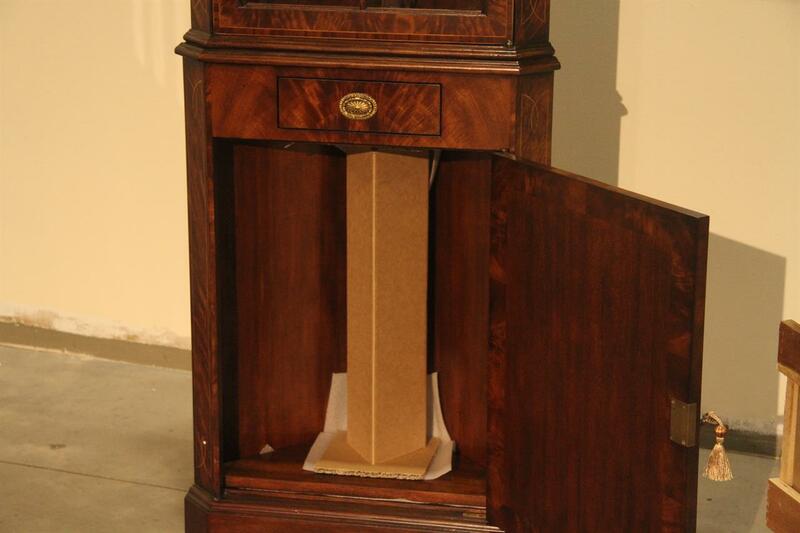 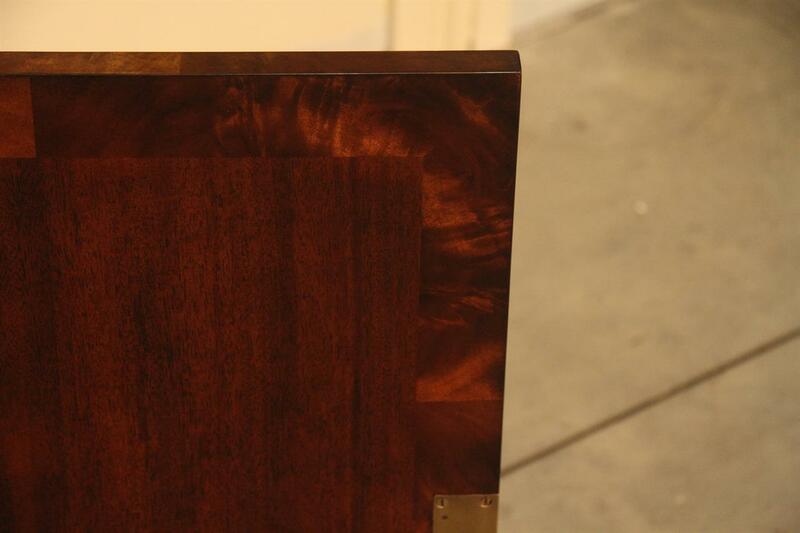 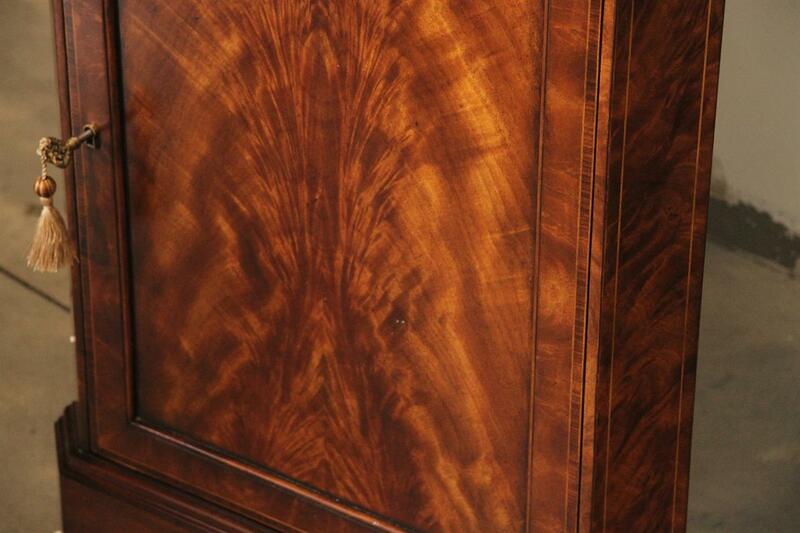 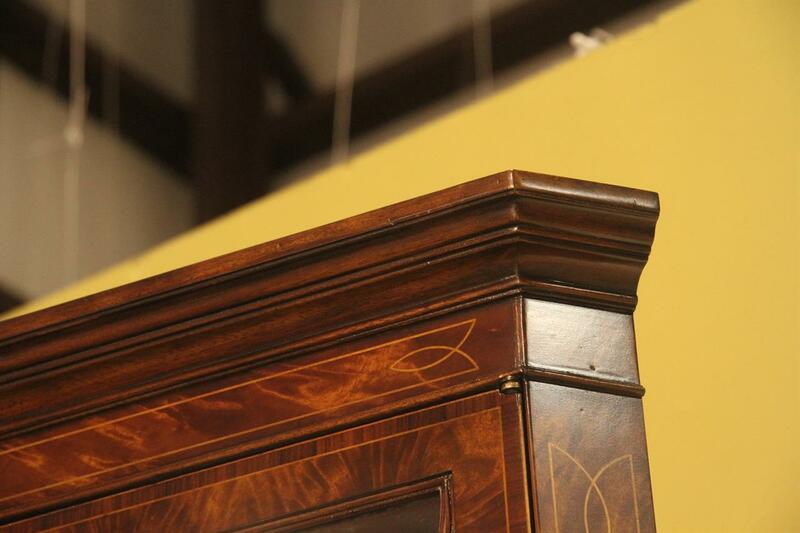 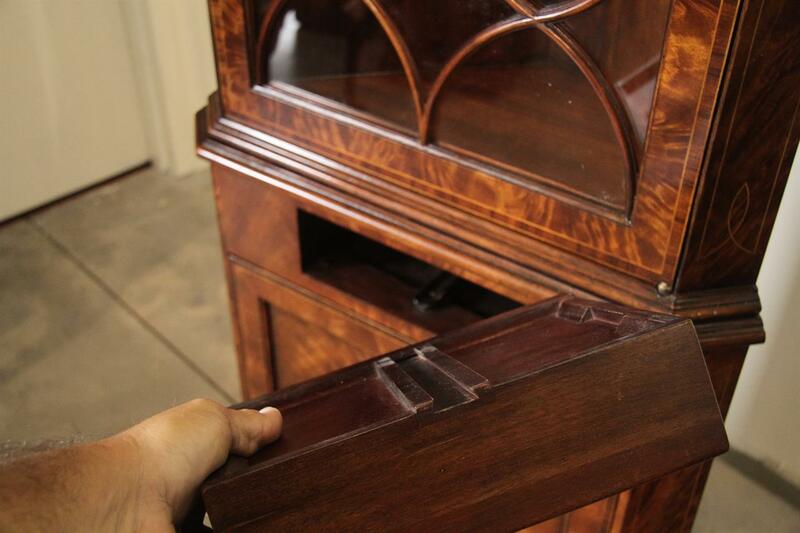 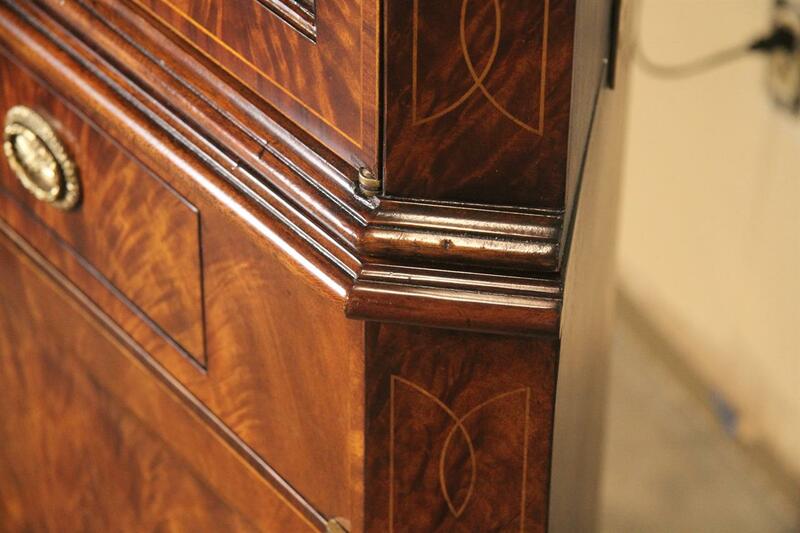 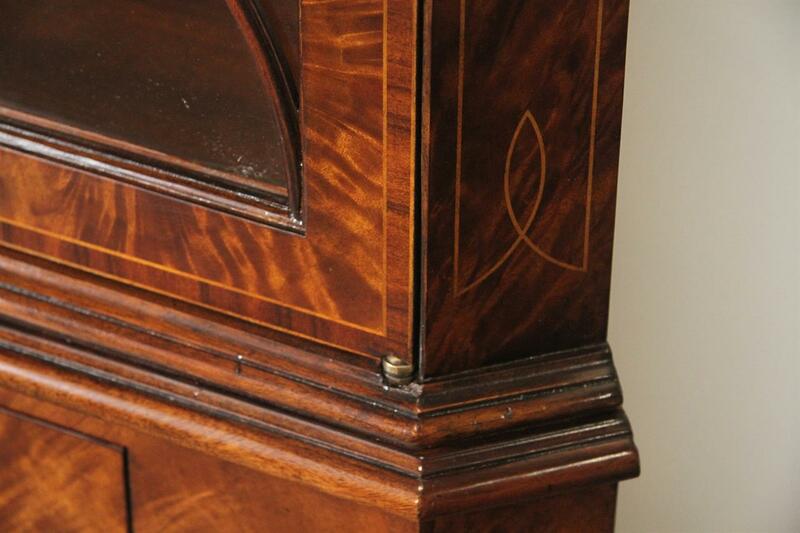 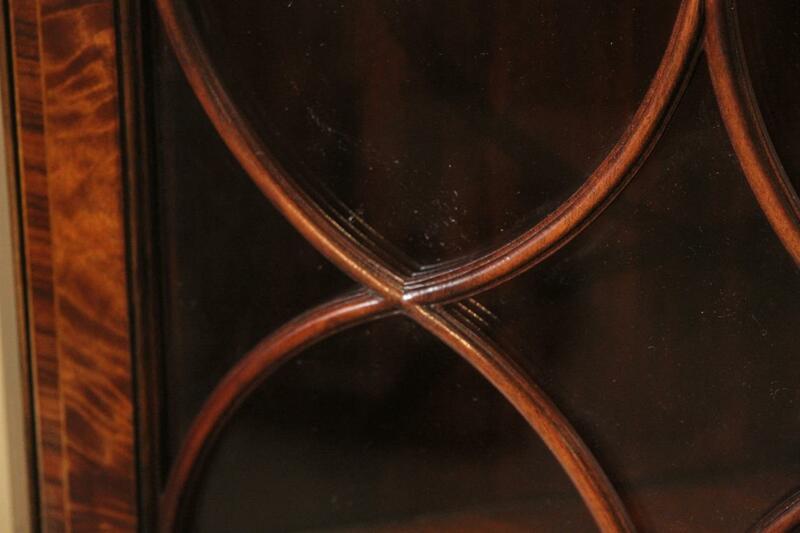 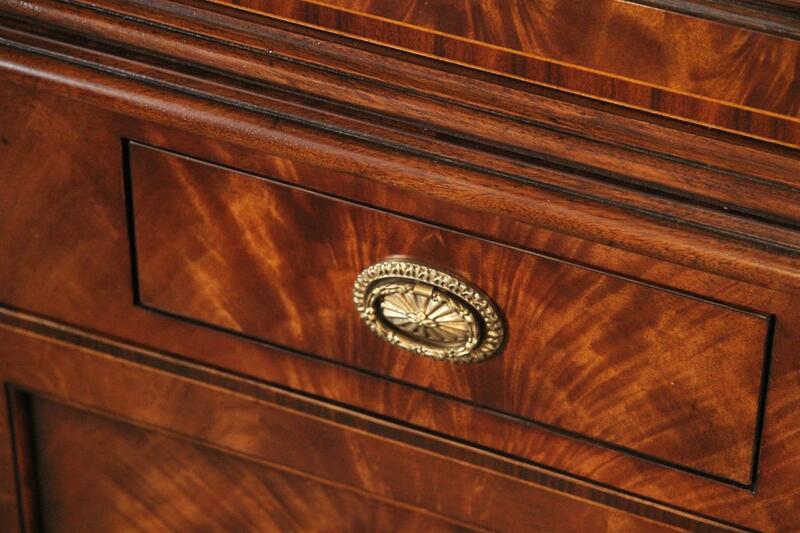 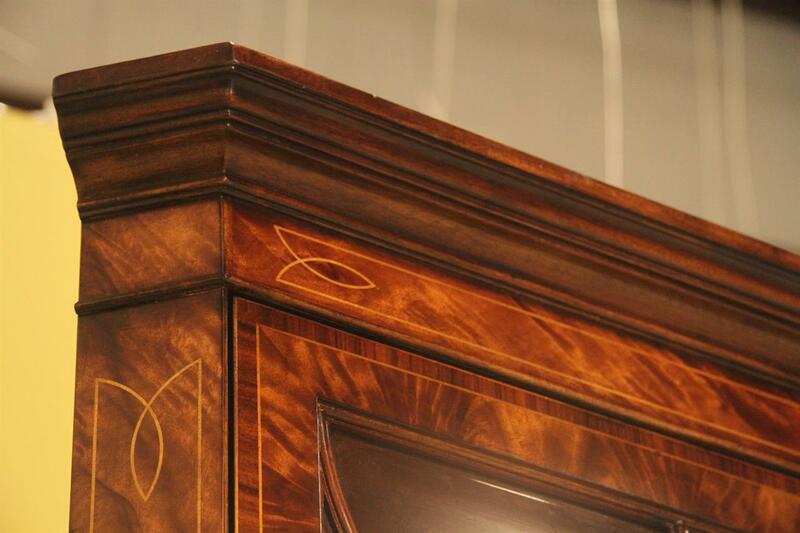 Even the inside of the bottom door is decorated with beautiful Okume Veneers and is banded with a flame mahogany border. 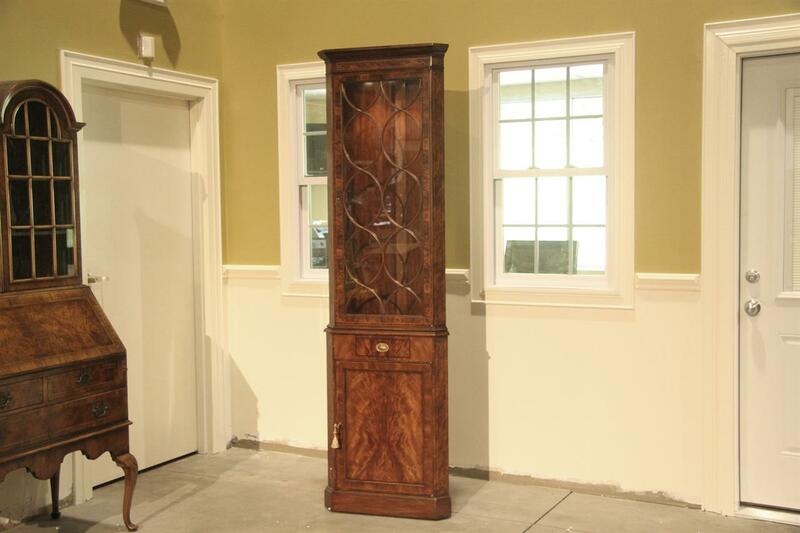 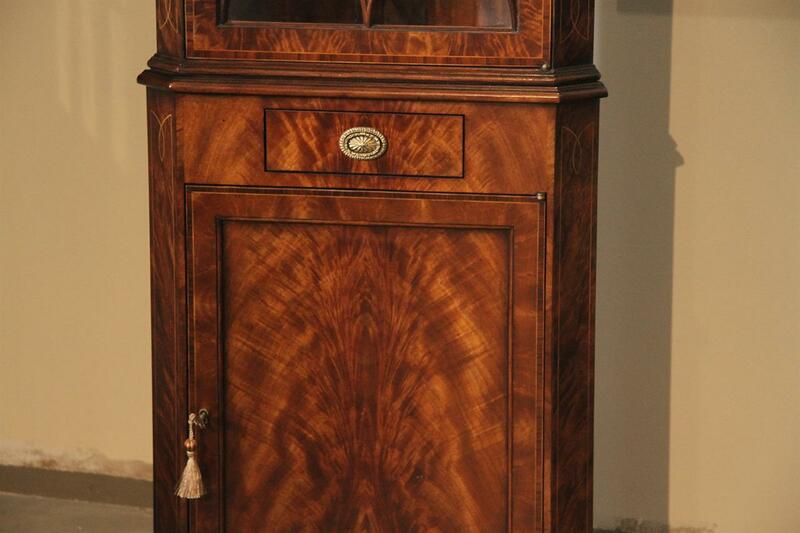 A very detailed and high end small antique style china cabinet which will coordinate with other fine traditional mahogany furniture. 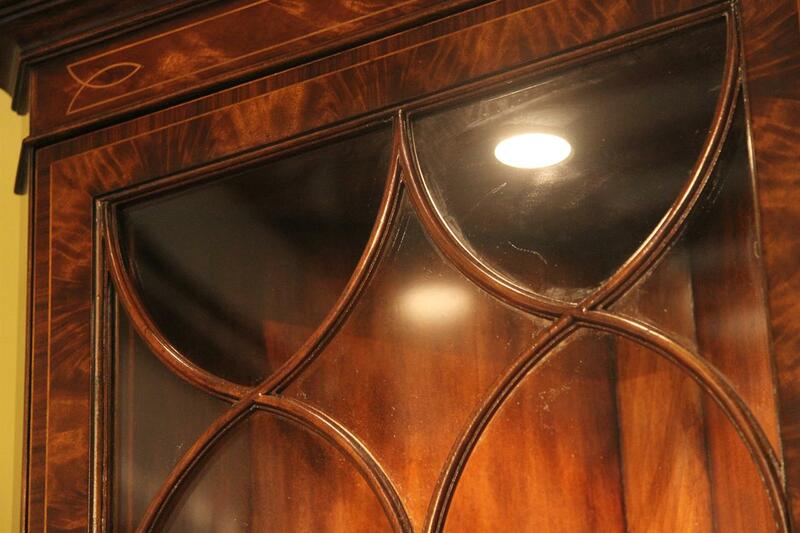 Length along the wall sides of cabinet is 17.25"